Are you getting married soon? Although weddings happen year-round, the most popular time to get married is late summer. If you’re a late summer bride-to-be, you’re probably starting to think about your wedding hairstyle. Now is the perfect time to start planning everything out. Read on for some tips and tricks to make sure you get the best style for your big day. If you’re considering making a drastic color or length change, now is the time to do it. Experts recommend that you make big transitions a minimum of three months before your big day. You’ll want that extra time so you can adjust to your new look. Now is also the time to start booking consultations. If you’re a frequent Meraki client, one or two trials with your regular stylist will do. If you’re a new client and chose Meraki to do your hair for your big day, that’s great too! It’s recommended that you do an extra trial so your stylist can get used to your hair and styling needs. Keep in mind that the earlier you schedule your services for your big day, the better. Bring some inspiration pictures to your consultation. Now is the time to show off your wedding Pinterest board! Lots of pictures will give your stylist a better idea of what you’re looking for and how to make your hair special for your big day. If you are wearing a veil, tiara or other headpiece, bring it with you so your stylist can work it into your style. Be sure to let your stylist know if you’re wearing another significant accessory. For example, your stylist may give you an updo if you want to show off your earrings. As you get closer to your wedding day, it’s time for the last touches. It’s recommended to get your final hair trim two weeks before your big day. This allows your hair to grow out a little bit and look lived in. Now is not the time to use any new hair products -- stick to your usual products. 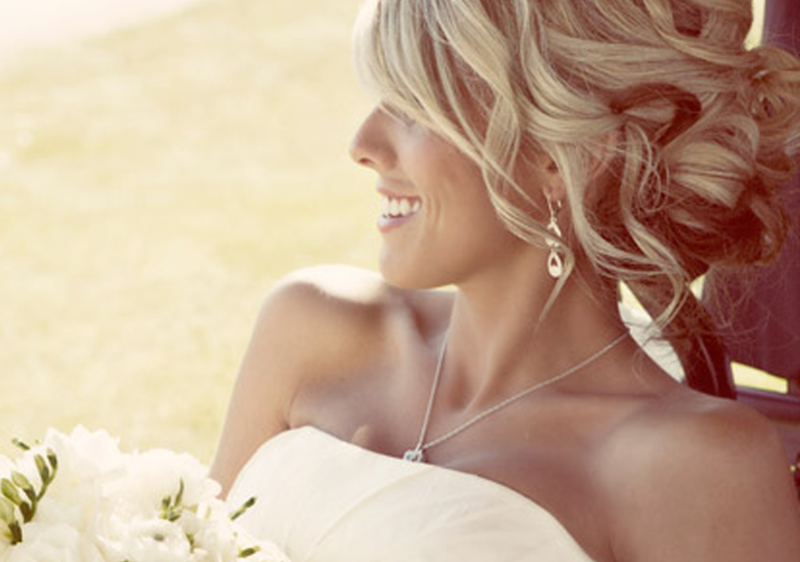 Finally, allot extra time for your hair styling on your big day. It’s one of the most important days of your life. You deserve to spend a little extra time on your hair! We love bridal styles! Meraki Hair & Makeup Studio is here to make sure you look amazing on your special day. For more information on bridal packages you can find us at 1281 Arthur Kill Road in Staten Island or call 718.966.6601. Want to make an appointment? You can download our free app from iTunes or Google Play.